Acceleron Pharma announced that the US Food and Drug Administration (FDA) granted orphan drug designation for ACE-083 for treatment of patients with facioscapulohumeral muscular dystrophy (FSHD). 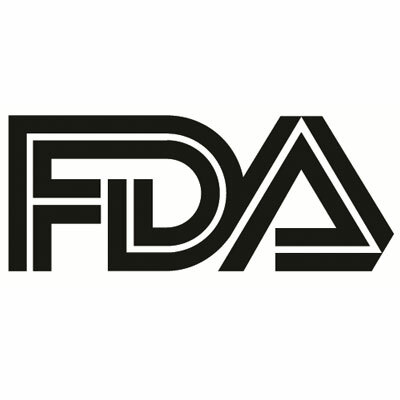 In May 2018 the FDA granted fast track designation to ACE-083 for FSHD, which could facilitate its development and potentially expedite its review. Study A083-02 is a multicenter phase 2 study designed to evaluate the safety, tolerability, pharmacodynamics, efficacy and pharmacokinetics of ACE 083 in those with FSHD. Part 1, an open-label, dose-escalation study of ACE-083, consisted of up to 6 cohorts (A to F) of patients and evaluated multiple ascending dose levels in either the tibialis anterior (TA) or biceps branchii (BB) muscle. Preliminary results demonstrated positive safety and tolerability along with unprecedented mean increases in total muscle volume of more than 12% in the 2 distinct areas evaluated. The results include data from 23 patients evaluable for magnetic resonance imaging (MRI) among 2 different cohorts (11 patients with tibialis anterior weakness and 12 patients with biceps brachii weakness). Patients received either ACE-083 150 mg or 200 mg as a unilateral intramuscular injection once every 3 weeks for 12 weeks. Total muscle volume changes were measured by MRI relative to baseline at 3 weeks after last injection. The TA cohorts generated a mean total muscle volume increase of 12.6% and produced a mean decrease or improvement in muscle fat fraction of 5.3%. The BB cohorts generated a mean total muscle volume increase of 13.2%, while producing a mean decrease or improvement in muscle fat fraction of 0.6%. There were no reports of serious adverse effects. The most common adverse effects were injection site related and grades 1–2. ACE-083 is a locally active agent that is designed to increase strength and function in specific target muscles for improved patient function and quality of life by binding to and inhibiting select proteins in the TGF-beta protein superfamily. According to Acceleron, the “Myostatin+” approach is expected to increase muscle mass and strength in the muscle where the drug is administered. The Part 2 portion will be randomized, double-blind and placebo-controlled and will include an open-label extension. Prior to the initiation of part 2, researchers will review the safety and efficacy data from part 1 to determine whether cohorts for 1 or both muscles will be pursued in part 2, as well as the recommended dose level for each muscle. A total of up to 56 new patients (28 per muscle) may be enrolled and randomized to receive either ACE-083 (n=14/muscle) or placebo (n=14/muscle) bilaterally to either the TA or BB muscles, but not both. Patients in part 2 will receive the blinded study drug once every 3 weeks for approximately 6 months—9 doses. The study duration for each patient is approximately 15 months, including a 1-month screening period, a 12-month treatment period, and a 2-month follow-up period after the last dose. Those who complete the double-blind treatment period will immediately roll over to the open-label treatment with ACE-083 and receive the same dose of active drug, bilaterally in the TA or BB muscle, once every 3 weeks for approximately 6 months—8 doses. Acceleron is expected to release preliminary results from part 2 of the trial in the second half of 2019. ACE-083 is currently being evaluated in 2 phase 2 trials, 1 in FSHD and 1 in Charcot-Marie-Tooth disease.